So the answer to where to recycle cardboard in San Antonio is provided by someone living in Oklahoma. Okay, so maybe you have to dig a little deeper to get the right answers you’re looking for. Of course, you could just call up Junk King San Antonio and be done with it! 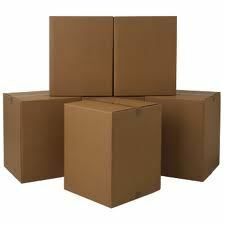 Junk King is the San Antonio based business which has been removing all kinds of junk from businesses and homes including cardboard boxes. What’s great about Junk King is that they’re not just going to be acting as super charged garbage men. Yes, they’ll come into your homes and pick up any item you want removed but they’re also going to strive to make sure that item is properly disposed of. In the case of cardboard, this means dropping that off at the San Antonio recycling center which handles that type of product. When you hire Junk King San Antonio you have the option of filling up their truck or just getting rid of a couple of items. The choice is yours but know that whatever choice you make, you’ll be doing right by the environment by hiring Junk King. This entry was posted in e waste recycling, San Antonio Cardboard Disposal, San Antonio Green Junk Removal, San Antonio Junk Recycling, San Antonio Junk Removal and tagged Junk King San Antonio, San Antonio Cardboard Disposal, San Antonio Cardboard Removal, San Antonio Junk Recycling, San Antonio Junk Removal on April 25, 2012 by Mike Hasselbalch. Last updated August 2, 2017 .